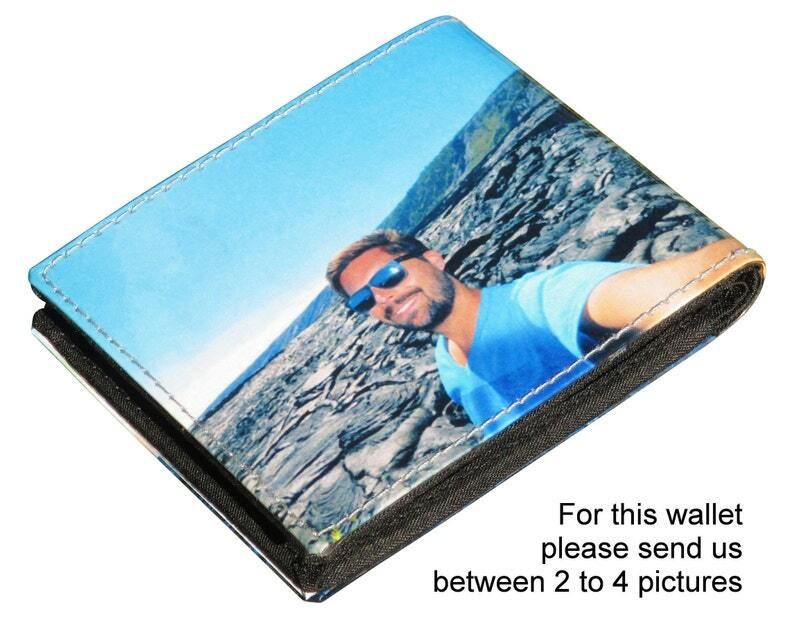 Small size custom wallet for men made using pictures from you. Coated with clear plastic for protection. Dimensions of the wallet in Inches: 4.1" X 3.3" X 0.6"
Features 4 slots for cards, 2 slots for cash, pocket for coins, a clear slot for an easy showing of docs/cards.